"Prayed Up!" -- In Unity, we believe prayer is a natural thing to do. In our fourth spiritual principle, we will explore what it means to pray from the awareness of our Oneness with God. When we practice affirmative prayer, we are using the same method Jesus taught when he said, "Whatever you ask for in prayer, believe that you have received it, and it will be yours" (Mark 11:24). Join Rev. 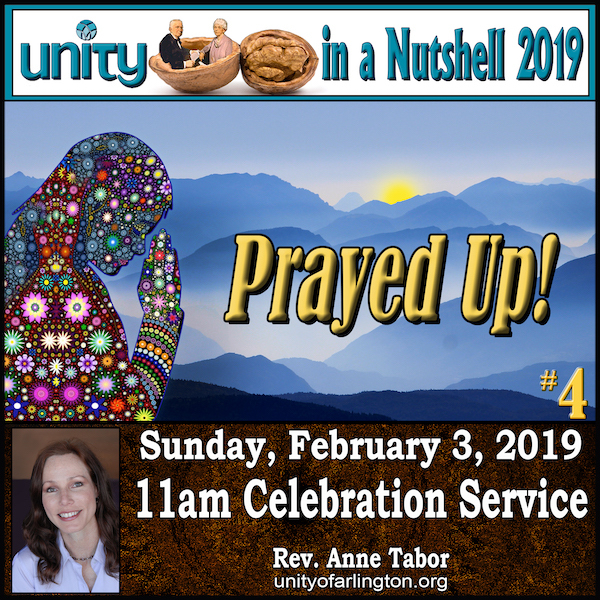 Anne as she continues her Sunday Message Series "Unity in a Nutshell 2019" and how the foundational practice of affirmative prayer brings about wisdom, healing, prosperity and everything good!